The most amazing feature of Google’s chromecast HDMI dongle is to be able to cast your Chrome browser tab directly to a bigger screen. This is possible using the chrome browser extension for the Chromecast. Fortunately, it will no longer be a necessity as Google has announced that from version 51 of Chrome, the ability to cast will be built in to the browser. Not everyone may have access to this version immediately. The update with that specific version will rollout slowly. Even if you are already on version 51, you might not yet have the exact version with the cast built in. For those who do have the right version, the “cast” button can be found in the three dot menu under Print. The Google Cast platform has matured considerably since its initial launch. The only feature we are waiting for is the ability to cast the entire screen. 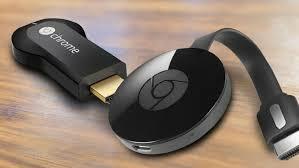 What that arrives, the Chromecast will be feature complete.